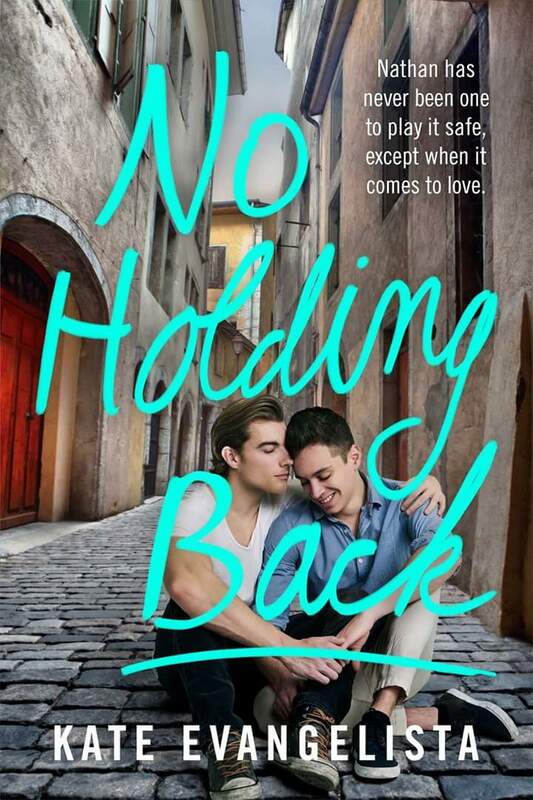 No Holding Back is the sequel and companion novel to No Love Allowed (review here), which was a such cute read. No Holding Back is a fun follow-up! All Preston wants to do is swim and make it to the Olympics. After trying out for an exclusive swimming club, he’s restless to find out if he made it in or not. To try to get Preston’s mind off of the results, Nathan takes him away to Europe for a month. While there, Nathan will be remotely planning the luncheon of the year back in Dodge Cove as well as trying to admit to his best friend that he is in love with him. I really loved Caleb’s cousins, Nathan and Natasha, in No Love Allowed, so I was excited to have this book focus on Nathan. Nathan and Preston have been best friends since they were kids, but Nathan wants something more. He’s in love with Preston, and everyone knows it but Preston. While away in Europe, Nathan plans to tell Preston his true feelings. Preston and Nathan’s friendship was so supportive and sweet, which made them great as a couple. There were definitely difficulties that they faced while figuring out their relationship, but their love for each other did prevail. I really enjoyed the European backdrop. The adventures they had in all these different countries definitely made me a little bit jealous! This made such a fun addition to the story. Really my only problem was with the third person POVs, which were awkward at times. Overall, No Holding Back is another cute, summer read! You do not need to read No Love Allowed to understand and enjoy the book. Great review! This sounds like a cute read and love the European setting! Thank you! It sure was cute!